Assisted Home Care and Hospice is proud to sponsor many outstanding organizations that benefit our community. Find many of those events here and how you can also get involved in helping our community. 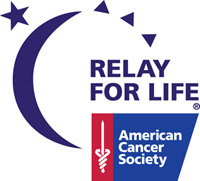 Assisted Home Care and Hospice is a proud sponsor of the Relay for life event in Santa Ynez on May 17th. The American Cancer Society is helping save more than 400 lives a day. The Relay For Life movement offers an inspiring opportunity to honor cancer survivors, promote how individuals can reduce their cancer risk, and raise money to help end cancer. For more information about this great event click here. The 2014 Awards Dinner will be held Thursday, April 3, 2014 from 5:30 to 9:30 PM at the Crowne Plaza, Ventura Beach Hotel, 450 E. Harbor Blvd, Ventura. Ventura County Medical Resource Foundation’s prestigious Fainer/Tauber, M.D. Awards recognize individuals whose personal ethics and professional performance reflect Dr. Fainer’s/Dr. Tauber’s ideals of involvement, commitment and contributions to health care in our community. The Community Memorial Healthcare Foundation’s Gold Dust Gala raises money to fund the Healthy Women’s Program–a program that provides free mammograms, biopsies, surgical interventions, as well as cervical cancer screening and vaccinations for the women of Ventura County who do not have access to these resources. Motion By The Ocean is a 5/10K Course run with a 1K Kids Walk. Funds raised will benefit the new Community Memorial Hospital. This six-story facility will be located on land adjacent to the current hospital. On Sunday, May 4, 2014 at San Buenaventura State Beach 901 San Pedro Street, Ventura 93001.